Serving Columbus, Dublin, Lancaster, Dayton and surrounding areas. We know finding a speedy, reliable, ethical heating and air conditioning service and repair company can be a challenge these days. Hubbs Heating & Air firmly believes in never selling a customer something they don’t need and fixing it right the first time. For your peace of mind, Hubbs Heating & Air is available 24 hours a day, 7 days a week for emergency heating or air conditioning service. 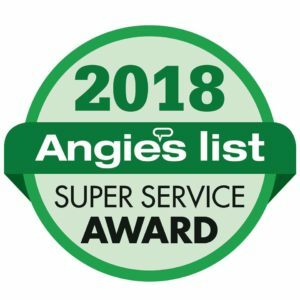 Please contact us today to request a free in-home estimate and discover why we enjoy an A+ rating with the Better Business Bureau and have been awarded Angie’s List’s “Super Service Award” in 2015, 2016, 2017, and 2018. We’ll review common air conditioning and heating repair issues with you before we start charging you. 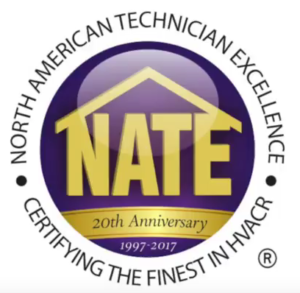 We have very reasonable rates for both our residential and commercial HVAC service customers. We’ve built our business providing such amazing service that our word-of-mouth referrals have effectively grown our business. You don’t have to wait all day. We’ll work with you to get your problems resolved as quickly as possible. Trustworthy. I would absolutely recommend Hubbs Heating & Air without hesitation. The owner is the one that came out and took the time to explain things to me. He was honest and trustworthy, and I appreciate not being upsold. Great experience! Chad made himself available on a Sunday evening, got our furnace working, did a complete inspection and gave clear instruction on what we needed to fix. Highly recommend Hubbs! A company I can trust. The technician took the time to explain exactly what was wrong with my furnace and made sure I fully understood. He was very personable, not push, with very reasonable prices. He even came out on short notice on the same day. Very satisfied customer.